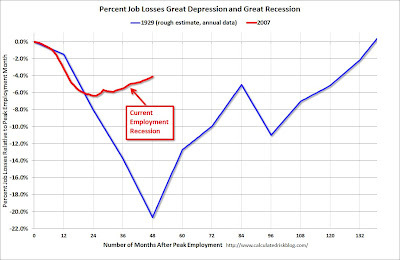 In this post from April last year I already showed the great graph Calculated Risk blog makes each time new (un)employment figures for the United States are released. The current job market crisis is compared to those after the other recessions after WWII for the percent of job losses. Unfortunately there was no data available for the Great Depression. Although not a as detailed as the other graph Calculated Risk was recently able to construct a graph comparing the current crisis with the Depression. It is not as detailed because only yearly estimates are available for the depression. 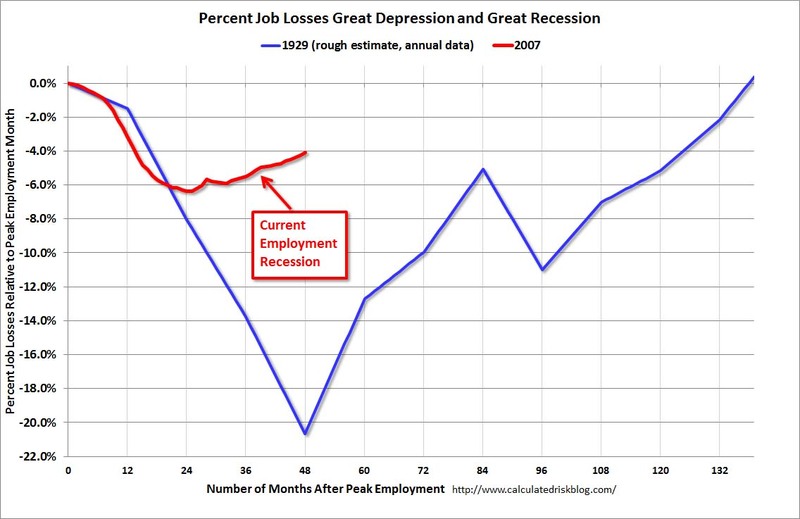 You can see that the current recession is by far not as severe as the Great Depression.